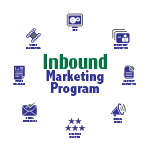 The BeSuperior option of the Inbound Marketing Program includes everything found in the BeFound and BeDominant options, plus additional strategic marketing tactics designed to further increase your business preferred visibility in top search engines. BeSuperior is our top level option of the Inbound Marketing Program and is designed for local businesses in a medium to large city with medium to heavy competition. To view our entry level and mid level offerings, please review the BeFound and BeDominant options. 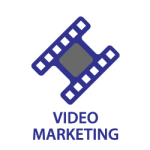 MarketBlazer Video Marketing service includes creating engaging and thoughtful marketing videos that are optimized for both your website and social media platforms. Our video service provides the graphics, creative scripts, professional voice over talent, complete production, and uploading to YouTube. These informative and entertaining whiteboard videos are a dynamic way to visually convey your key marketing messages.